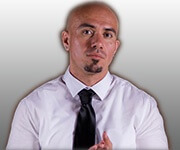 Ernesto Martinez also known as "Smoochy" is an On Air Personality for Mega 96.3. Smoochy was born in California but spent his early childhood in New Orleans, Louisiana. Around 1998 he started his career in radio, interning in promotions for one of the top radio stations in Los Angeles. With a strong interest in the entertainment industry, he also had the opportunity to work as a freelance reporter. 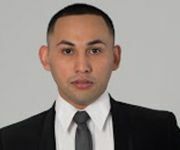 As a reporter he covered major red carpet events throughout the Los Angeles area for Telemundo. In 2002 he had the pleasure of interviewing major artists such as Daddy Yankee and Romeo Santos. Among these artists he has also interviewed Sandra Bullock and Benjamin Brat. Smoochy’s passion for music started when he would dj parties and family events. It was at that time he knew he wanted to be an on air talent. He also enjoys spending time with his daughter and son. On the weekends they are active in soccer and swimming. DJ Eddie One made a career defining realization in 2002. The in-demand Los Angeles-based street promoter and co-owner of West Coast Record Pool saw the consolidation of the music business was on course to hurt his business, so he decided to redirect his focus. I was getting all this free vinyl from the labels that I was already servicing to all these DJs, he recalls. So I said, I might as well put it to work. 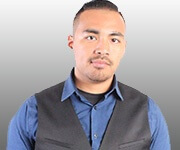 Since then, DJ Eddie One has established himself as a major DJ force in the Los Angeles area. 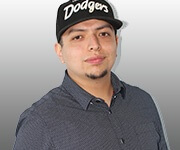 He is the Mixshow Coordinator at KXOL LA 96.3 FM and can be heard on the air Monday through Saturday 7pm-12am In this capacity, Eddie One is able to reconnect to his Latino roots by speaking Spanglish on the air and playing a varierity on his mixes of Reggaeton, Hip Hop, Top 40, Bachata, Dance by going from Spanish to English back and forth he also aspires to be a program director a major radio station some day. DJ Eddie Ones emergence as LAs premier DJ is truly remarkable. 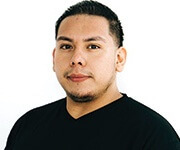 He was born in El Salvador and came to Los Angeles in 1989, when he was 11. His family came to escape his countrys civil war, and so that Eddie One would avoid being drafted when he turned 14. Los Angeles was like another world to Eddie One. He spoke no English and had never seen skyscrapers before. Music, however, remained a constant in his life. His parents played Cumbias, Merengue and Salsa, as well as such American stars as Steve Wonder. But it was Eddie Ones uncle who had the bigger musical influence by introducing him to Snoop Dogg, Dr. Dre, Too $hort and Eazy-E. Even though Eddie One couldnt understand all of their lyrics at the time, he was blown away by the attitude and feel of the music. Eddie One had similar feelings toward house music, and 80's rock. Eddie One fed his love for music by promoting parties while he was still in high school. From there, he got a break in 1998 when a friend gave him a job driving a promotional van for now defunct Los Angeles dance station Groove Radio. But the station soon shut down and Eddie One transitioned by starting West Coast Street Promotions company and earning industry respect by giving such artists as Erykah Badu, The Roots and Mary J. Blige a major street push. 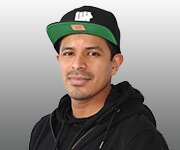 Soon thereafter, DJ Eddie One began working on his DJ skills and established himself as Los Angeles premier DJ, a position he still holds by dominating the airwaves. My dream was to be on the radio here in LA, he says, and the LA dream came through. 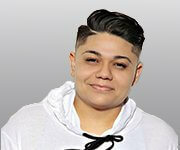 Johanna Martinez AKA DJ 2Lips was professionally established in 2009. She has worked and resident for multiple venues in Hollywood, West Hollywood, Los Angeles, Long beach, Pomona, Ontario, and Palm Springs. She also played in Long Beach’s largest LGBT festivals for 3 successive years, as well as the Los Angeles Gay Pride festival for 2 years for the Urban Soul Stage and First Caliente Stage. Johanna’s biggest influence was her family that was well rounded with many musical styles. 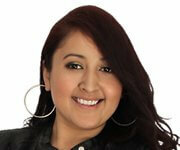 From all of her influences she became a bilingual open format DJ. DJ 2Lips believes that music has always had a way of bringing up the most intense emotions that a person could experience. When starting on a set, she enjoys channeling all the room’s emotions into the turntables by understanding a group of people and taking them to the highest level of energy she can bring. She wants to make people feel like they can get away from their troubles or routine and travel down memory lane. She understands the importable of that one special day by elevating those truly memorable moments to the highest level by one set. DJ 2Lips’s goal and focus is to land on the airwaves for an open format on air radio station. Musical influences and what she spins include: Hip-Hop, Regional Mexican, Latin Tropical, Top-40, EDM, Old School 80s, 90s.